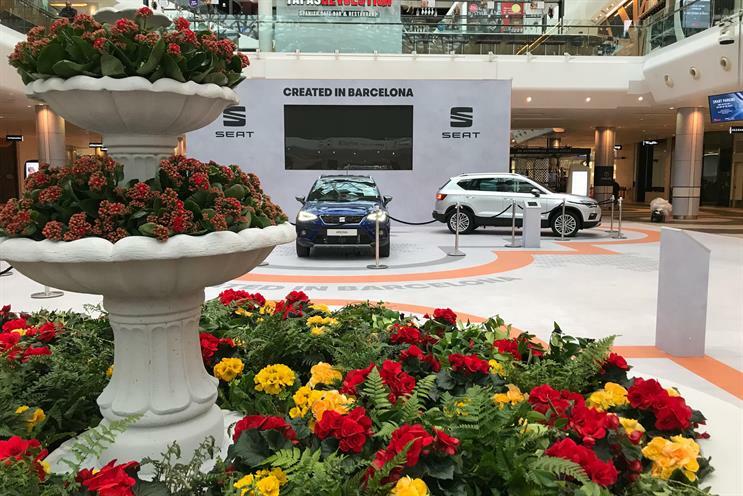 Seat, the Spanish car marque owned by Volkswagen, has created a Barcelona-themed activation at Westfield London to launch its new store. The work, created by experience agency Energy, has turned the shopping centre’s main atrium into a summer piazza with flowers and street art. Visual artist Mateo, who has previously worked with Seat, created a live installation using his signature spray-paint and stencil style. This creative work will stay for the duration of the activation. Seat has also created a digital spray booth where visitors can have a go at their own street art. There is also an escape room experience which taps into the brand’s ITV mystery dramas sponsorship. The activation runs until 2 April.